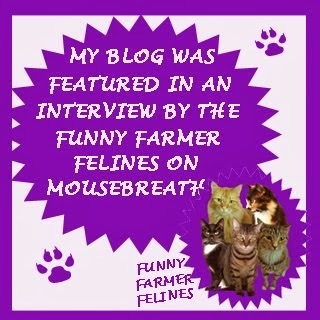 One of our favorite new blogs to visit is Cat Lady Alley, a celebration of everything cat-lady related and an offshoot of the award-nominated rescue blog Three Chatty Cats. Our friend Rachel, the voice behind both blogs, ran an amazing 12 Days of Giveaways this month as a thank you to her readers, and we were lucky enough to win the Day 3 "Let's Get Crafty" giveaway containing three rubber stamps, two sets of clear stamps and a pad of foiled cardstock. 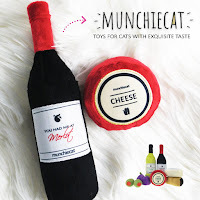 Now I should preface this by saying I consider myself pretty much the least crafty person you'll ever meet; I would never have the patience for things like crochet or knitting, but I'm so in awe of the amazing crafters on Etsy, especially those who incorporate their passion for cats in their creations. 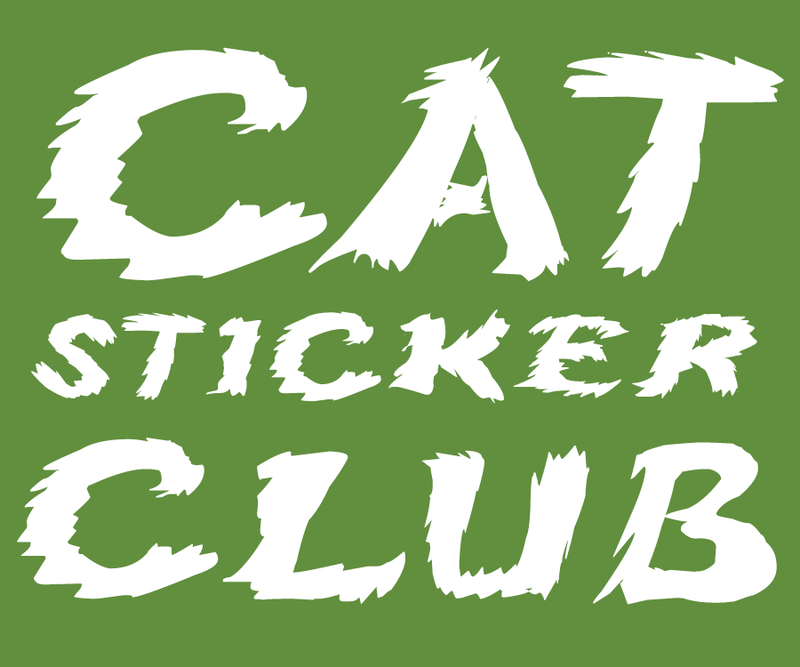 I love everything paper-related and have an ever-growing collection of cat stickers, and with this win of cat stamps it's starting to look like paper crafting and card-making might be the creative outlet I've been searching for. On my next trip to the craft store I'm buying a new stamp pad and my goal for 2017 is to explore my crafty side that I just know is inside me somewhere dying to get out. Thank you so much Rachel, Dexter, Olive and Sophie...your pawsome prize was just the inspiration I needed! 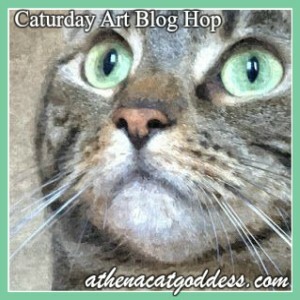 Maybe I'll even be brave enough to share some of my creations here at Athena's Caturday Art blog hop. 1. My favorite Christmas Song(s) is/are If Every Day Was Like Christmas, All I Want for Christmas Is You (the Vince Vance & the Valiants song), If We Make It Through December, and Merry Christmas Darling, but I could do without hearing Baby It's Cold Outside ever again. 2. My most meaningful Christmas ornaments are the ones personalized with my cats names on them, because even those who are no longer with me can still be a part of my Christmas celebration. 3. My favorite holiday treat is anything and everything peppermint. 4. A holiday tradition in my house is watching Muppet Christmas Carol. What a cool prize! No wonder it has inspired you to explore your crafty side. Have fun on your new adventure. I am experimenting right now with a craft that I have never done before - decoupage. I am making ornaments with pictures of our current family as well as our ancestors. By this Christmas, I should have 16 done. 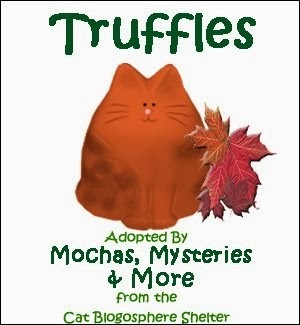 Hopefully, by next Christmas, I'll have a tree full of them. I hope to be posting pictures of them soon. I think that your answer to #2 is really sweet. Our Christmas cards this year featured our angel kitty Xerxes. Even when they're gone, they are still very much a part of the family and hold a special place in our hearts. That totally looks like fun. Our human is called "un-crafty Carol" and joins you in being uncraftiest ever, but always wanted to explore all that fun stuff so we'll do so vicariously thru you guys. What fun! Nice prize and good luck on your creations. I just know you will be a good crafter. Thank you for participating in the fill-ins, great answers. I tried some Swiss Miss Peppermint hot cocoa the other day and it was yummy-I bet you would love it. Have a great weekend! That is a wonderful craft prize! Our mom is quite crafty. She enjoys crochet as well as her digital scrapbooking. Oh wow, the P.A. 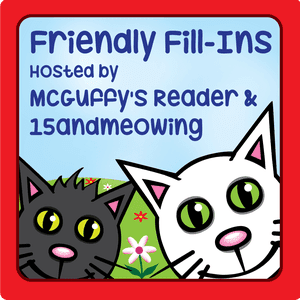 LOVES those stickers and stamps, many congrats on your pawesome win! 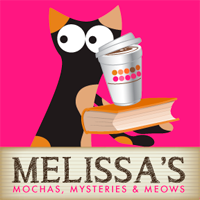 I learned about Cat Lady Alley through you and now I love it, too! I oohed and awwed over this stamping set on their blog, and I am so glad you won it! Crafting is so much fun, and we know you'll be great at it. And incorporating cats with crafting makes it that much funner! 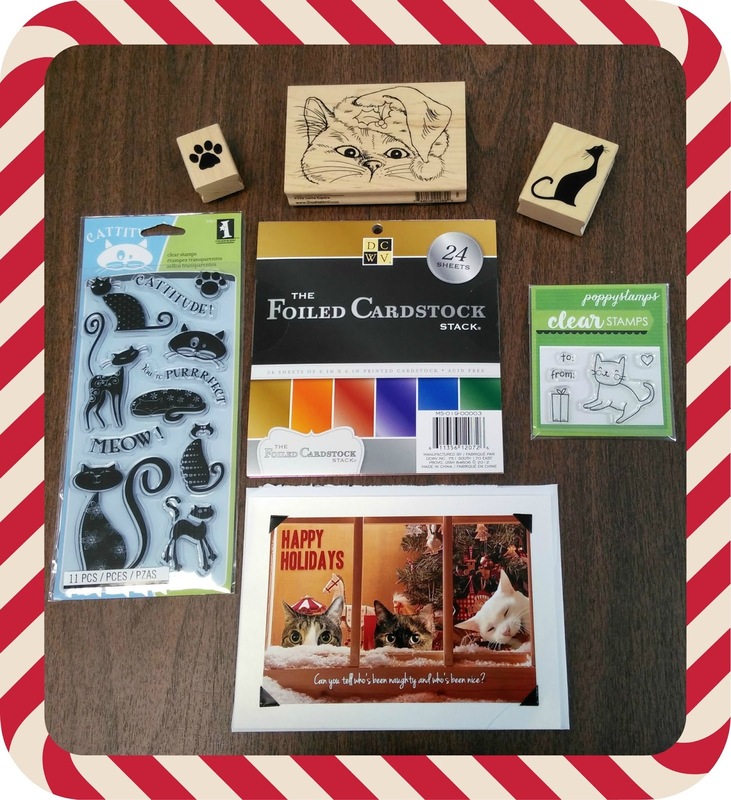 Concatulations on this pawesome win, and have fun stamping! And, I love your fill-ins! Your #2 is so purrfect. One of my prized ornaments is my angel Rosie's. Peppermint is one of my favorite thing this time of year, too. I go through so many bags of mint candies. I had not seen The Muppet Christmas Carol in years, but I watched it the other night and loved it! I can't believe it fell off my radar for so long! 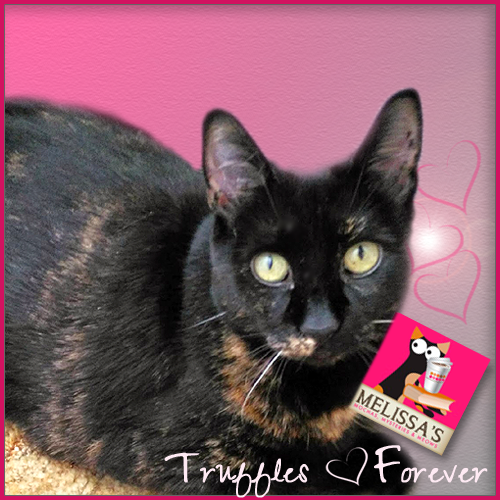 Purrs to you, Melissa and Mudpie! I wanted that prize so bad...Congrats to you and enjoy that darling prize. Can't wait to see what you come up with! Those are great items! Concatulations on the win! Our mom is a big scrapbooker and was really drooling over that day's givewaway. You will have a lot of fun with this! We're glad you won and are planning to do some fun things with your prize. I can't wait to see your artsy creations. TW didn't even enter that one. MOL! That is some REALLY cool stuff! Thank you for the kind words and I can't wait to see what you come up with!!! We have ornaments that are for many angels, now...each one is special, too. HUGS.